In recent months, ETC has become more involved in increased cooperation with the heritage sector. With the European Year of Cultural Heritage 2018 fast approaching, it is now evident, more than ever, that tourism and cultural heritage are inextricably linked. Thus, ETC and Europa Nostra, the pan-European federation of heritage NGOs, have decided to capitalise on their long-standing relationship and join forces to create synergies and enhance collaboration. A memorandum of understanding was signed between the two organisations earlier this year, outlining a framework for joint cooperation and objectives. 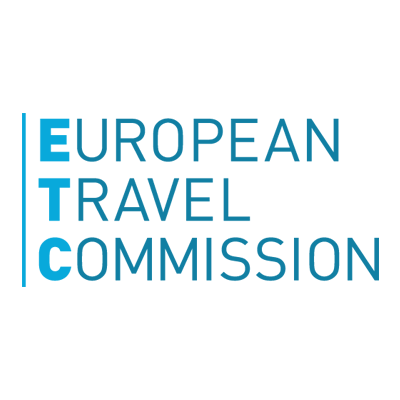 An agreement was made to promote Europe as a unique cultural tourist destination and to support the growth of the tourism industry while simultaneously protecting cultural heritage and maintaining its positive social and environmental impacts. Another area related to heritage in which ETC has been active is the European Heritage Alliance 3.3. The platform, coordinated by Europa Nostra, brings together over 40 European or international networks active in the wider field of cultural heritage. ETC had the opportunity to join this dynamic alliance this year and on October 18th had the pleasure of hosting the Alliance Meeting at its Executive Unit in Brussels. The meeting was attended by 29 members, and included a guest speaker from the European Commission’s Directorate-General for Education and Culture, Erminia Sciacchitano. A discussion was focused on the implementation of the European Year of Cultural Heritage and the opportunities for the members of the Alliance including ETC to actively take part in the activities, such as the European Culture Forum 2017 in Milan when the European Year will be officially launched. Miguel Gallego, Head of Marketing at ETC, also addressed the Alliance with a presentation about the EU-China Tourism Year 2018 and the opportunities available for Alliance members to become involved. The memorandum has already been put into practice through Europa Nostra and ETC’s collaboration with each other, and also with the European Cultural Tourism Network (ECTN), a fellow Alliance member and signatory of the Manifesto. In preparation for the European Year of Cultural Heritage 2018 the three organisations are developing a joint initiative on promoting sustainable cultural tourism destinations. The progress of this collaboration was particularly highlighted at the International Conference for Cultural Tourism in Europe, organised by ECTN in Sibiu, where speakers from each organisation came together. We at ETC very much look forward to engaging in further collaboration with our colleagues in the heritage sector in the framework of the European Year of Cultural Heritage 2018. Caption picture on top: ETC President Peter De Wilde and Europa Nostra Vice-President Piet Jaspaert after the signing a Memorandum of Understanding at ETC General Meeting in Porto, May 2017.